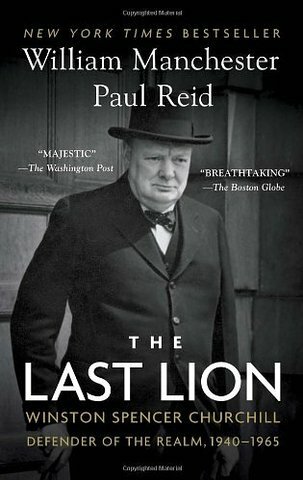 I’m sure that others have recommended William Manchester and Paul Reid’s The Last Lion, (Little, Brown and Co., 2012), but I will add my own name to the list of recommenders. This volume lacks some of the verve of the earlier volumes written by Manchester himself (and there are small errors in this text), but it is an engaging narrative of Churchill’s wartime and post-war leadership. I recently coauthored a book on leadership (Ronald M. Green and Al Gini, 10 Virtues of Outstanding Leaders, Wiley-Blackwell, 2013), and I devote a chapter to Churchill’s insightful and courageous moral leadership during the month of May 1940. The Last Lion takes us further and amplifies our knowledge of one of history’s greatest leaders.